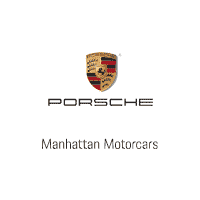 At Manhattan Motorcars, we recognize the luxury and comfort that comes with owning one of the most prestigious automobile brands all over the world, that is, Porsche. In our commitment to servicing the needs of car lovers in Garment District and in other neighborhoods, we made it a point to offer new and used cars from the carmaker. We also extend our services in case a Porsche car owner needs repair for his vehicle. Add to that, we are proud to have genuine Porsche auto parts in stock. Get all these by visiting us at our showroom in Manhattan Motorcars and continue enjoying the luxury that comes with owning a Porsche automobile. Garment District is one of the most popular neighborhoods located in Manhattan, New York City. It is also known as the Fashion District or the Garment Center primarily because it is the home to fashion-related companies well known not just in the US but all over the world. It is currently the seat for major fashion labels and is also known for catering to the needs of all who love fashion.